As with all major equipment and job-specific tools, there is a proper way to ensure that your moisture meter is properly cleaned and cared for, after each and every use. 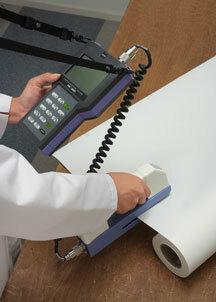 If you carefully maintain your test equipment, it will thank you with years and years of accurate readings and easy use. Here are a few pointers on how to care for your meter, and keep it clean and functioning for as long and you need your moisture meter. After using a moisture meter with contact pins, like our universal moisture meter, you will want to ensure that it is clean before storing it. Wipe the pins clear of any debris or particles using a soft, dry cloth. A dry cloth will also ensure that any moisture on the pins is removed as well. Excess moisture left on the pins can eventually lead to inaccurate readings and rust. If your system uses penetrating pins, the pins on your moisture meter should be sharp in order to easily pierce hard materials like wood without much difficulty. Because of this, you will want to be careful as you wipe down the pins. Continue to wipe down the rest of the meter, in case there are any stray particles left anywhere else. When you are drying your moisture meter, and ensuring it is free from dirt or dust, this is also a good time to inspect the device and make sure that the pins are not dull or bent. While the pins are incredibly strong and durable, over time they can bend, or lose their sharpness. This can make it harder to get an accurate reading, so if this starts to happen, it may be time to have the pins replaced. You can also check the life of the batteries in your meter. If they operate off of batteries; they may be low, and a low battery can impact your reading on your next use. If your moisture meter does not have pins, but does require contact and has metal plates for its readings, like our paper moisture meter or a non-destructive wood moisture meter, you will want to take the same care with the scanning plates that you would with the pins. If the scanning plates get covered with dirt, dust, or water, you will want to wipe the plates clean, again with a soft, dry cloth. Debris or dust on the plates should be cleaned as soon as possible to protect the plates. This is also a time to inspect the moisture meter for scratches or divots in the plates, which can affect readings and give you inaccurate results. Other meters like our new flour moisture meter will need to be wiped clean, inside and out. The sample tray, where the flour, rice, barley, or other grains are inputted for readings, will need to be cleaned just like any pin or plate to keep the meter fully functional. Many of our products include a recommended brush or cleaning tool. As with all meters, your pinless, portable and NIR meters should be stored in their carrying cases. In addition to keeping your meter dry and clean, it also protects the device from high impact, which can do major damage to the meter. Keeping your meter clean but still having issues? Consult our Total Care Solution to see how we may be able to solve the problem for you. We are so proud of the outstanding quality and long-lasting accuracy of our test equipment, and with careful attention to the cleaning and storage of your meter, it will provide you with reliable readings for years to come. Questions? Don’t hesitate to contact us today!